Real Estate Accounting embraces or covers the accounting rules for any kind of real estate transactions that can be used to structure real estate deals appropriately. Real estate firms need to fully understand their current financial accounting, regulatory and compliance reporting requirements when dealing with different types of real estate transactions. It is therefore essential for real estate firms to have a professional team of client-focused real estate accounting services, which is capable of catering to all of their accounting needs in this ever-changing business environment. A well-managed accounting system is vital and the best way to reduce overheads and provide value to the internal or finance functions is through the method of real estate accounting outsourcing. Outsourcing real estate accounting helps organizations reduce their accounting responsibilities. 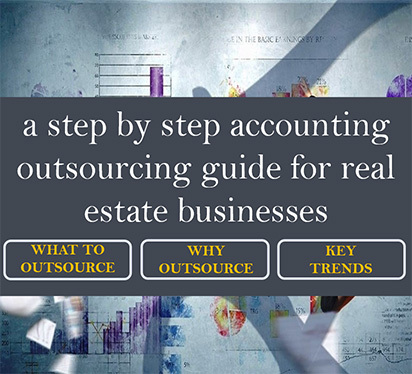 Majority of construction and real estate business firms have fewer employees to perform all of their accounting functions and to outsource real estate accounting is the best option to improve a company’s financial reporting and operations. The real estate and property management sector has emerged as one of the leading sectors to adopt outsourcing extensively to scale up with limited overheads, to cut costs and improve processes. The transaction intensive nature of this industry makes it suitable for resource efficient scaling up and for cost reductions through outsourcing and technology. Cost Savings – By outsourcing accounting, the real estate firms can save about 30% to 50% on their accounting costs in terms of staffing costs when hiring a full-time accountant. Growing without Overheads – Real Estate firms can expand their businesses without incurring overheads arising due to staffing and training costs. Access to Industry Standard Accounting Practices – The real estate firms will get exposure to industry standard accounting practices in addition to getting the timely, accurate reports thereby helping in workforce flexibility and conservation of capital. Knowledge of Outsourced Firm – Specialized service providers have an understanding and experience of accounting processes that are specific to the construction and real estate industry such as revenue recognition rules, lien waivers, insurance certificates, proposals and contracts. Such experience helps in shortening the time spent on training and quickly implementing the accounting process. 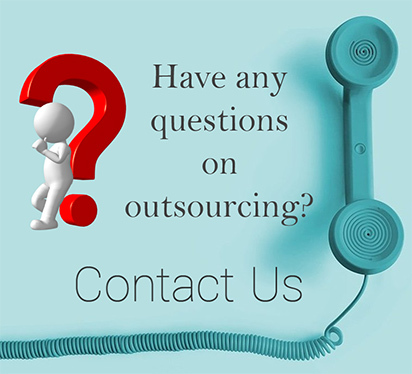 Learn more about our Real Estate Accounting Outsourcing Services?